Our products are entirely designed, manufactured and tested in Italy. The excellence of the products is thus assured by a process constantly checked by the Italian government. Made in Italy is the third brand in the world for notoriety, after Coca Cola and Visa. Because our customers are important for us! Thanks to our Research and Development Department, we can provide solution that can satisfy the needs of all of our customers. We can customize even the smallest details of our products. We can also provide OEM (Original Equipment Manufacturer) solutions. In short: you will never be unsatisfied again! We help you look for the right financing for your company for the purchase of broadcasting equipment. We can support you to access credit funding procedures for national and European plans. More than 200 companies already obtained financings thanks to our support. Our engineers are always available to help with installations and for prompt maintenance. Guaranteeing the maximum efficiency of our equipment is our commitment. We work for your tranquillity and to offer you a fast and qualified service at any time. Broadcasting technology is a field in constant evolution. In order to be always up to date, from time to time we hold updating courses about our products and the broadcasting theory in general, both at our premises and on-site! Our network of partners, engineers and sales manager allows us to be close to you overcoming every linguistic barrier. You want to get in touch but we are not available because of the time zone? You will have a phone number you can call 24/7. Are you looking for a local contact? Contact us and we will revert you to the closest one. We can advice you on everything, including shipments, customs fees and insurance. Analog and digital FM, TV, Links. Our catalogue includes the most fundamental broadcasting devices. You can touch with your hand our products by visiting exhibitions or our international events. We also provide turn-key solutions, relying on a wide range of partners to provide accessories. All of our products have remote connection in different configurations for continuous monitoring! All of our products have a 2-year warranty, that can even be extended. Before being sent to the customers, our systems are tested for several days in our premises. We have a constant technical support, both by phone and (live chat or ticket) to assist you whenever you need it. The reliability records of our products are among the best in the field, constantly monitored into our databases. 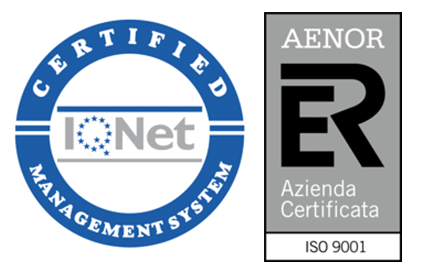 ISO9001, CE mark, are only some of the quality certificates obtained by Neetra. In fact, in order to be present on the scene of several world markets, it is necessary to obtain the most different certifications, which is synonymous with quality!